© Zachary J.J. Roper, 2017. All rights reserved. In December 2015, I earned my Ph.D. from the Department of Psychological & Brain Sciences program at the University of Iowa. My primary area of focus is the cognitive neuroscience of vision. To date, my scientific endeavors have revolved heavily around the study of visual cognition. I primarily study healthy adult humans, but I also maintain collaborations within my department and with Psychiatry as well as Neurology. My collaborators and I study visual cognition in the pigeon model, elderly adult humans, and adolescent/emerging adults. 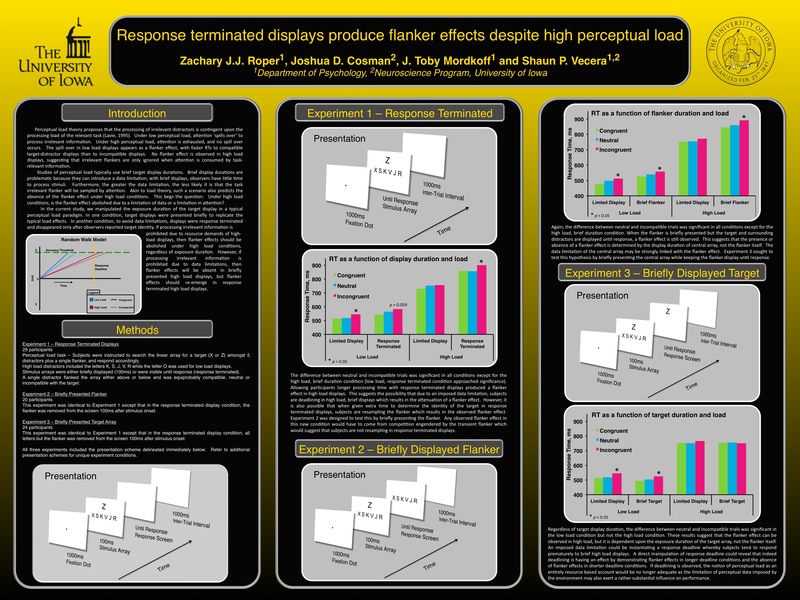 These projects provide a unique outlook about the development of visual cognition. 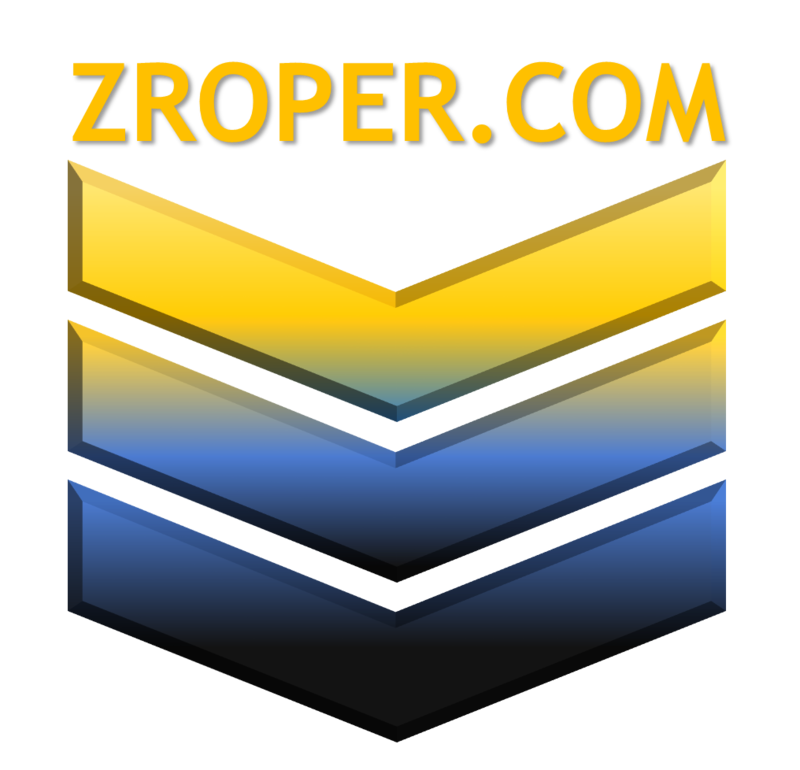 Roper, Z. J. J. (2015). 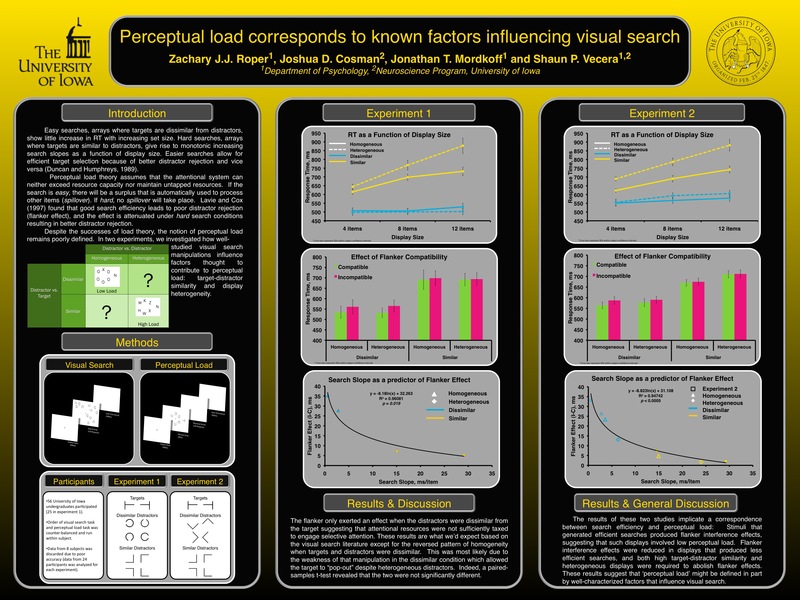 The manifold role of reward value on visual attention. Ph.D. (Doctor of Philosophy) thesis, University of Iowa, 2015. Electronic documents are provided as a professional courtesy to ensure timely dissemination of academic work for individual, noncommercial purposes. Copyright and all rights therein reside with the respective copyright holders, as stated in each publication. These files may not be further disseminated without permission.